Gourmet Gorilla provides local and sustainable school meals and healthier eating options to schools throughout Northern Illinois and Wisconsin. We are committed to working with community partners to provide solid nutrition for all children in order to help them learn and grow. Collaborating within regional food systems around the Midwest food shed, Gourmet Gorilla works with food hubs, rural farmers, urban agriculturalists, dietitians, nutritionists, talented chefs, and organic food manufacturers. We provide quality ingredients as well as connections and partnerships to educational resources on healthy food curriculum, the value of fresh healthy and sustainable food, garden projects, and ecological awareness. 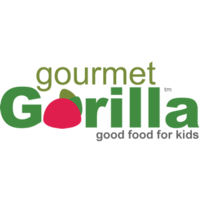 Gourmet Gorilla is looking for an Assistant Purchasing Manager! This position will be very dynamic and requires collaboration with every department in the company. This is an entry-level position. A successful candidate is one who is focused, competitive and driven by a passion for the mission to deliver good food to kids and to play a key role in stimulating sustainable growing practices in our regional food shed! You should have strong moral character, with a willingness and appreciation for open dialogue and transparency. An ability to facilitate or be part of a team is essential. Have an innate empathy with a keen interest in educating or being educated while building community in and around the organization. Someone who constantly strives for greatness through problem solving and innovation. Manage challenges with energy, balance and perseverance. We are looking to add to our purchasing and inventory team a dynamic individual as a purchasing manager. This position will help our growing company make an impact helping Gourmet Gorilla more effectively make a difference in the local community provide healthy, sustainable meals to children across the city. Learn existing techniques and strategies of current purchasing workflows and execute with a high level of accuracy on creating purchase orders of raw ingredients, packaging, and supplies to ensure just in time deliveries to work teams in production and at offsite locations, that are on budget and meet cost thresholds. Continuously improve and innovate purchase process and systems to reduce costs of goods “COGs” and costs of services “COSs” using lean purchasing strategies and techniques. Daily purchase of an uninterrupted flow of ingredients, packaging, and supplies required for the company’s efficient operation. Monitor and verify stock levels with assistance from the inventory team. Track purchase orders to ensure timely delivery. Troubleshoot if not tracking on time. Track quality and ask for credits for poor quality deliveries. Troubleshoot alternate supply on the fly. Prepare cost analyses for weekly, monthly, annual menus. Understand the food supply chain. Have an interest in a sustainable food supply chain. Driven to get things right every time. Advanced knowledge of MS Excel including pivot tables and lookup. Understanding on P&L, COGs, Waste Control. Gourmet Gorilla has a lot to offer, from quality-focused, passionate, and fun colleagues to competitive pay and medical, dental, and vision benefits. We strongly value work-life balance and enjoy our time at work. Perks of the job also include our employee gym and wellness programs like yoga, tai chi classes and staff outdoor adventures. To apply, please submit a resume and thoughtful cover letter.